Spread out and keep moving. 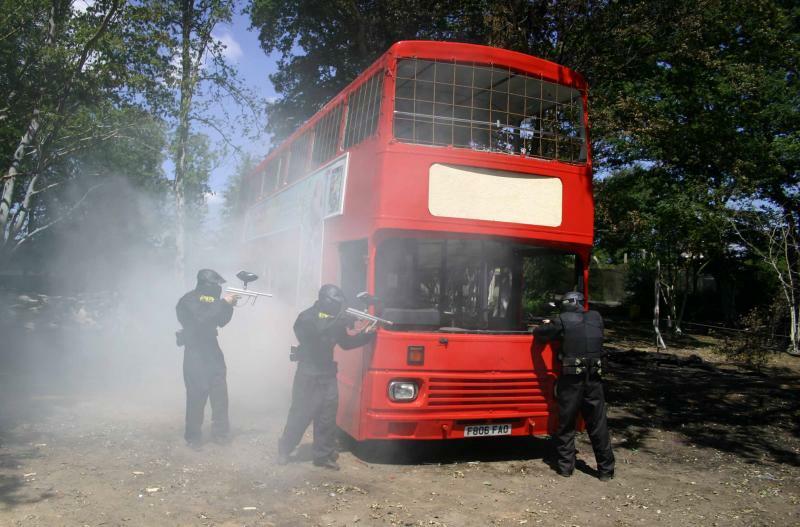 ‘Two to a bunker’ is a great rule of thumb to go by in any paintball game. Any more than two behind any bit of cover, no matter how large it is, will make it easier for the opposition to keep you pinned down and therefore outmanoeuvre you. Keep your team spread throughout the game zone and keep moving forwards – although keeping spread thin and mobile may seem like a dangerous move, you’ll find it’s anything but. Attacking from the flanks has been a classic tactic throughout the history of warfare for a reason – it produces results. Always keep up the pressure on the enemy’s flanks or keep yours heavily defended to prevent the enemy from doing the same thing. Maintain a balance between attacking and defending. 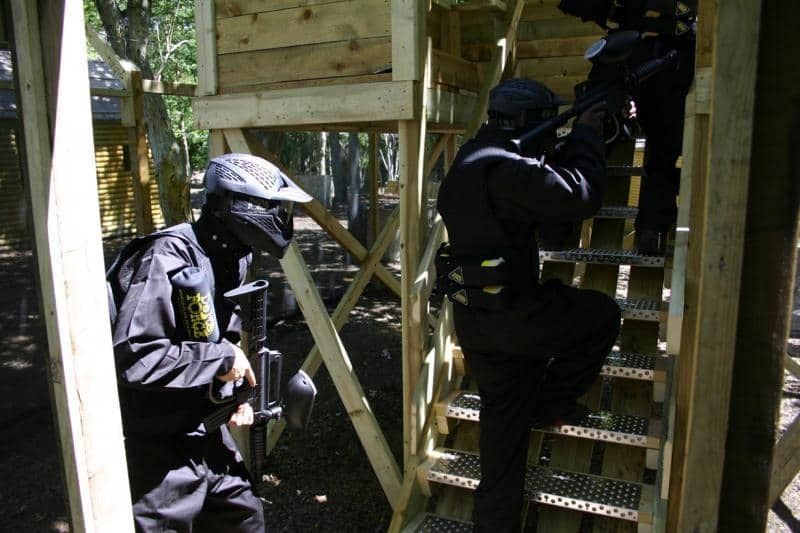 Although it’s best to start off a paintball game aggressively, it can be difficult to maintain that kind of pace and you can even end up getting cut off from your team. Always keep in mind where your team stand at all times and where the weak points in your defence are and apply the same thinking to the enemy’s positions and their defence before you make any rash decisions. Keeping a low profile at the beginning of the match and waiting for the ‘heroes’ to get taken out of the game can sometimes be the best tactic. Remember that good things, like winning the game, come to those who wait. Although you would think that using teamwork in a team-based game goes without saying you would be surprised at the sheer amount of games our marshals have witnessed in which every member of a team acts as an individual – suffice to say that they always end up losing. Spend a couple of minutes before every game with your team discussing tactics and try to put together a game plan before the match starts as it’s always better to have a plan of action than not to have one. That’s it from the Paintball 101 series this week, if you’re itching for more inside tips and tricks then take a look through previous entries on our paintball blog or head over to the Delta Force facebook page. The Paintball 101 series is currently looking for paintball related topics to cover in future so if you have any requests or ideas of your own then please feel free to drop us a message over on our facebook page – we always love to hear from our customers.